I love Gospel music — the music, but generally not the lyrics. Most Gospel lyrics convey the perspective of one has been saved by accepting Jesus. In other words, they tell the end of a story that began in ignorance, descended into sin, rose up to acknowledge the condition of being a sinner and arrived at the state of salvation. They invite the listener to join the singer, accept his/her reality as the only solution to life’s dissatisfaction and rejoice in the amazing state of grace. I’ve been an even bigger fan of Blues music, ever since I first heard it in high school. For me, its dark tones have been the perfect vehicle to convey the even darker lyrics that reveal the tragic truth of existence in these bodies, on this earth. But even before I encountered the 12-bar Blues format, I first heard the blues feeling in the Animals’ version of House of the Rising Sun. After all the saccharine-sweet, feel-good music of the Beatles and the Beach Boys, this was an absolute revelation. All through the summer of 1964, I kept the transistor radio close to my ear, as if I were taking a sacrament, whenever that song came on. Somehow, both the lyrics and the base guitar transmitted the same dark sensibility that pop music generally avoided. Recently, I felt it all come together when I heard a unique rendition of the old standard Amazing Grace by the Blind Boys of Alabama, who played it (I think) in Em – G – A – D – B7, the same dark chords in which I’d learned House of the Rising Sun. Suddenly I got it, the meaning of salvation: not the end of the story, but the beginning. The simple switch from the sweet, soaring, easily recognizable – yet unchallenging – traditional melody to this brooding, shadowy, chilly, almost sinister (related to “left hand”) tune threw me into recognition. No one told me about writing or speaking. 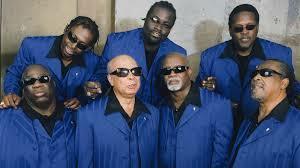 How much meaning can one simple phrase – Blind Boys of Alabama – carry? They are blind, but they can see the light. They call Alabama their home, a fascist state if there ever was one, a state that in 2015, fifty years after the Voting Rights Act, has required everyone to have a photo I.D. in order to vote but has closed all Motor Vehicle Division offices where Blacks are in the majority. They call themselves boys, but they are, by any standard, initiated men who have accepted their wounds (physical, social and racial) and turned them into art. Indeed, their performance of Amazing Grace is a profound ritual that invites us to balance the dark and the light, rather than overcome one with the other. Michael Meade voices an old proverb: Only those who can curse are able to bless. This is where we can glimpse the possibilities of what we – and America – might become when we are finally willing to dwell at length in the darkness, when we accept our capacity to harm before knowing our potential to heal, when we breathe in our demons and exhale our angels. This entry was posted in Uncategorized and tagged Barry's Blog # 6: A Dark Salvation. Bookmark the permalink.